Ozzy is a close up magician in Devon. His unique brand of comedy magic is a hit with guests of all ages. Ozzy believes in the entertainment factor and delivers this is a way that isn't intrusive and can be catered for any event or time scales. Being a professional for many years Ozzy can help plan a successful event whether it is for a Wedding, Celebration or a corporate event. ozzy has performed at many events in Devon,Somerset, Hampshire and all over the Uk, including The London Palladium. ozzy knows how important it is to get the right entertainer, and is more than happy to meet with you before booking so you know you will get a great service. If your looking for a magician for any occasion then look no further. Kids Parties are suitable for any child's party of any age. Magic Luke will even have the adults amazed with some of the top quality in magic and illusions, With great prize give a way's and involvement with the audience Magic Luke will bring magic to life and fun for all. Child's parties also include balloon animals. 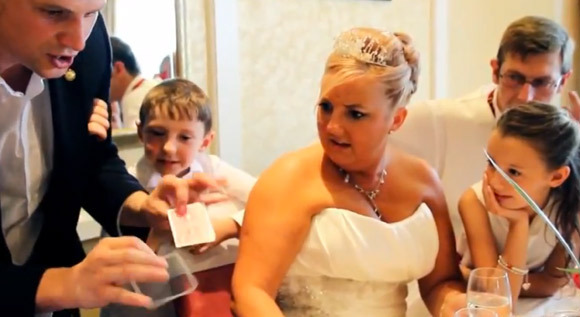 Close-up Magic (Table Magic) is perfect for any functional event. Corporate events, Weddings, Birthdays, (etc). The list goes on. Nothing beats seeing the magic happen right under your nose, so prepare to be blown away with some of the best in close-up magic around. Stage Shows are a popular choice for all. Prepare to be amazed to see some stunning effects on stage while you witness things transport, disappear, reappear and transform infront of your very own eyes. Professional Close-Up Female Magician Jayne performs magic that will both bewilder and amaze you. Whether performed at your table or strolling around over drinks you are sure to be both baffled and entertained by Jayne’s magic! Using coins, cards or other everyday objects Jayne will perform magic that will be talked about long after the event itself is over. Jayne’s Corporate Training background and Business Degree give her the ability to deal with and command the attention of any group of people large or small; and her fun and personable nature along with exceptional interpersonal skills allow her to rapidly create rapport with audiences from any walk of life. Magic by Jayne will certainly add that “x” factor to an event and is sure to make any occasion even more memorable. With regular performances of magic at Corporate functions, Weddings, Fund-raising Events, Private Parties, Graduation & Summer Balls; Jayne's skills as a female magician make her one of the most versatile and captivating forms of entertainment for any event. Jayne is also experienced in performing magic for Special needs groups such as Mencap. Jayne performs magic at venues all over the UK and with very few professional female magicians around the world, Jayne has been booked to appea r in other countries too, including as far afield as Dubai. Jayne has been featured in various newspaper and magazine articles as well as being asked to perform magic live on BBC Radio on numerous occasions. Jayne is a member of The Magic Circle (one of only a handful of female magicians Worldwide), and she is also a member of Equity. Richard Ballinger-Comedy Magician. Appreciate me now & avoid the RUSH !! MAGIC designed to enhance your event. Prepare to be AMAZED-MYSTIFIED & most of all AMUSED. Family Shows, Restaurants, Holiday Camps, Shopping Malls & Corporate Trade Shows. Weddings are a speciality-either close up or cabaret. Magic Workshops for older children & or adults are a regular feature in Richard's schedule. Richard is insured & CREB checked. Further details can be seen on the web site :- www.richard-ballinger.co.uk or telephone 01934 418184 for a free information pack. Hilarious comedy magic combined with clowning, slapstick, and storytelling to provide a show that makes children and adults laugh and be amazed. The Magical Moon is Sean Moon – A professional young close up magician. He also performs cabaret and stage magic. Sean is based in east Devon but performs throughout the south west and has been hooked on magic since the age of 13 years old. 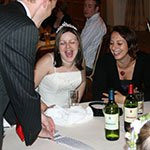 Close up or table Magic is a good ice-breaker to get silent people and guests to interact with each other and Sean will be there to make your event one to remember. Along with Sean’s close up magic with his specialist act you will see a blend of mind reading and comedy magic put together which will lead to a natural climax and will get everyone laughing and well entertained. Sean is a member of the International Brotherhood of Magicians as well as Equity and therefore holding full public liability insurance. 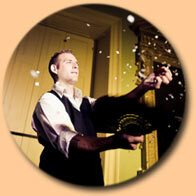 He performs both nationally and internationally and caters for all corporate and private events. Sean's close up act is suitable for a number of special occasions from corporate functions, weddings, anniversaries, private parties, student balls, promotional and fundraising events, including WI's. You will see magic right beneath your very eyes with inexplicable tricks and illusions that will amaze and captivate. For further information visit Sean’s above website. He has been studying magic for nearly 30 years and a professional for 8 years. Malcolm has worked for several large international companies and many well known high street names. His relaxed and informal style of magic will enhance any occasion and give it that little extra "something"
Martin presents a fun-filled magic show, specialising in performing only for children in the Weston, Clevedon, Portishead and Burnham areas of Bristol and Somerset. With over thirty years experience you are guaranteed entertainment that has proved successful for small family celebrations or large events for an audience of several hundred.